This wooden lattice was part a building, these lattices featured in all traditional Chinese buildings, temples, courts, residential house, etc. They are the upper part of the door which is responsible for letting light into the house. Its a kind of a window, you could say. Buildings are measured by the unit of Jian, and for each jian there will be 4 lattice door. The whole door is of the proportion 1:3 or 1:4. 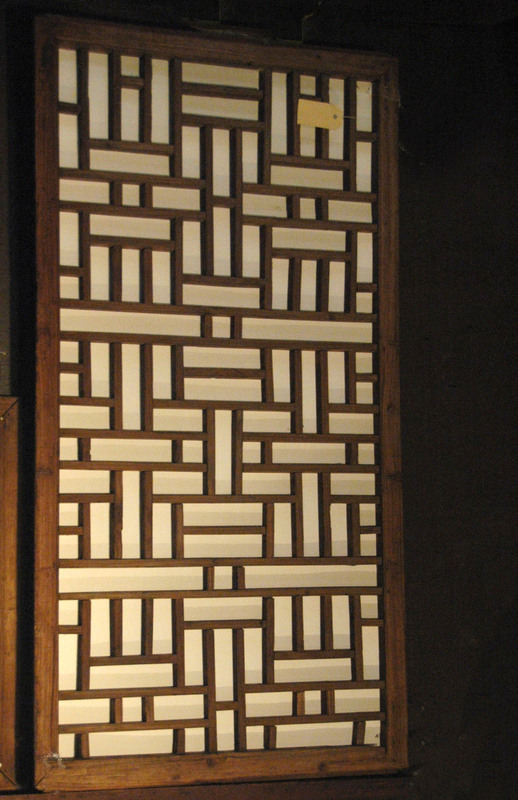 The door is divided into 3 parts, the top is the lattice Ge Shan, the middle is Yao Chuan, the lower part is Zhang Shui Ban. The lattice is constructed by joinery and most often with a miter joint. Danial Sheets Dye’s Chinese Lattice Design has a lot of information regarding the Chinese lattice, it was first published in 1937!